Oh that sky is wonderful. I have got to learn more about identifying clouds. A lovely shot Carver, love the description too. Beautiful spring skies and clouds, Carver, and a terrific capture as always! Hope you have a great weekend! Enjoy!! Great clouds pattern, like cotton. Love the beautiful clouds and sky, Carver! Wonderful shot! Have a happy weekend! Carver, excellent find. Thanks for posting this wonderful skywatch Friday image. An awesome shot, I love trees against the sky. Lovely clouds, Carver. Happy Friday. 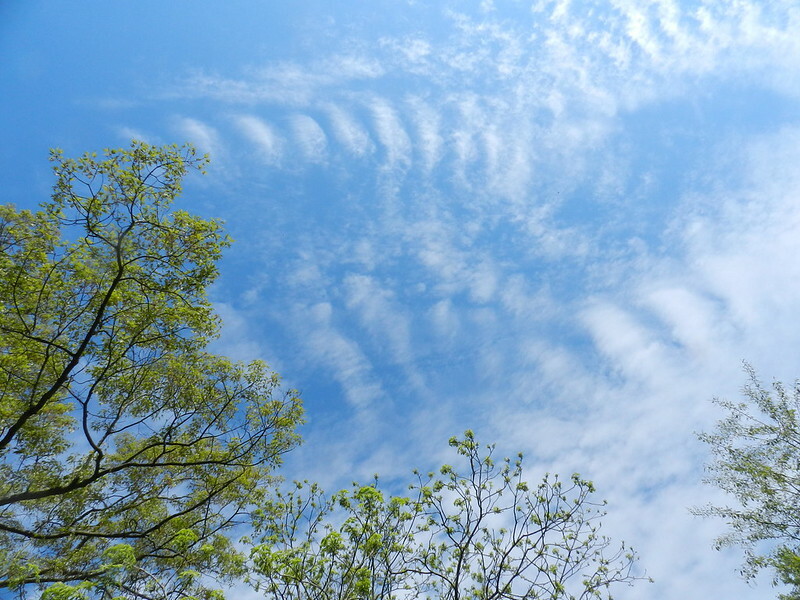 Wonderful to see the fresh green leaves with those fine clouds in the background. I've never heard of "mackerel" sky! Very cool clouds. An amazing pattern the cloud makes! Gorgeous!